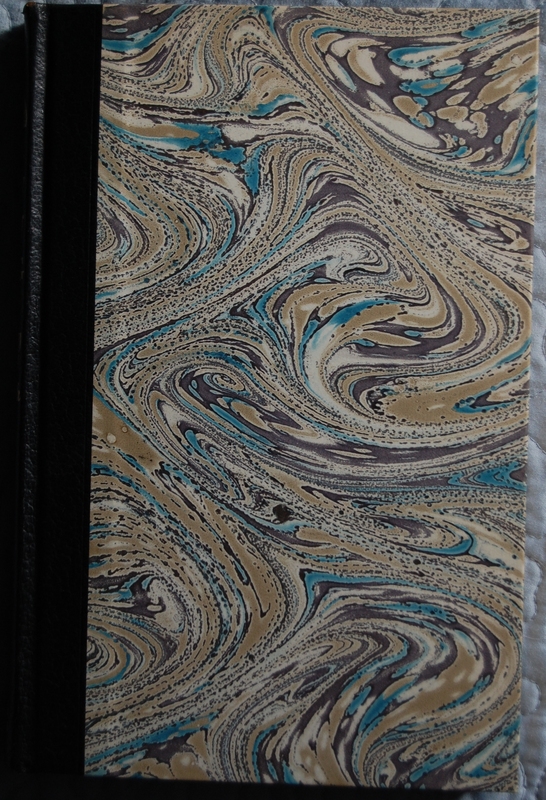 This would be the only work of Meredith’s that they would publish, but at least they did a splendid job of it! 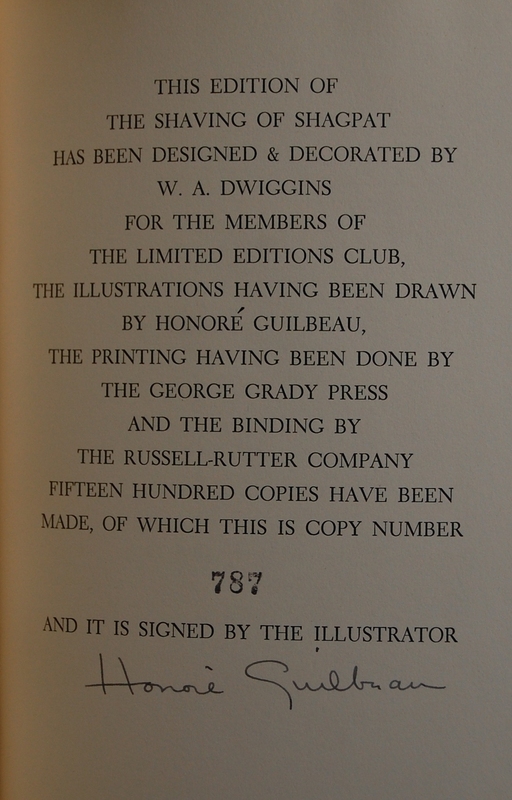 Title Page – The artistic combination of Dwiggins’ decorations and Honore Guilbeau’s drawings is an ideal one. 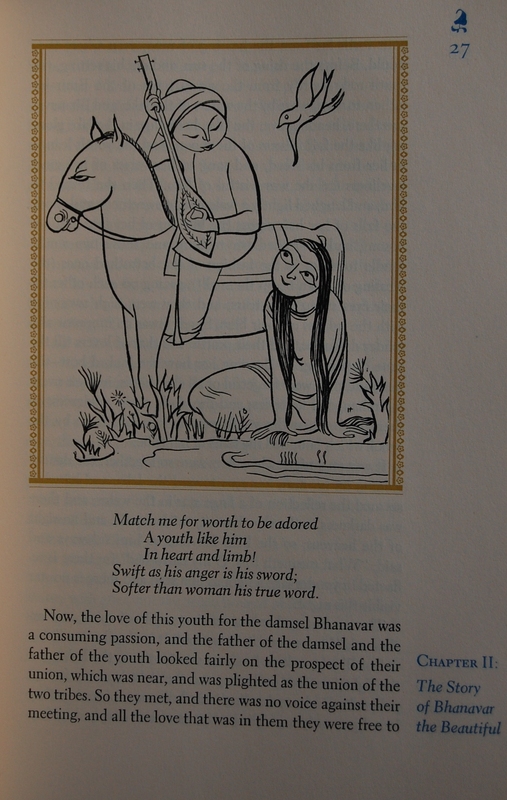 I was quite taken with how well the two blended their talents, and am looking forward to seeing the earlier Hajji Baba, which Guilbeau also did illustrations for. She also did Mark Twain’s A Connecticut Yankee in King Arthur’s Court, which I will be putting up in a couple weeks. Guilbeau started off her LEC career by winning the Club’s third competition to have their art printed with a new work, for Hajji Baba in 1945. 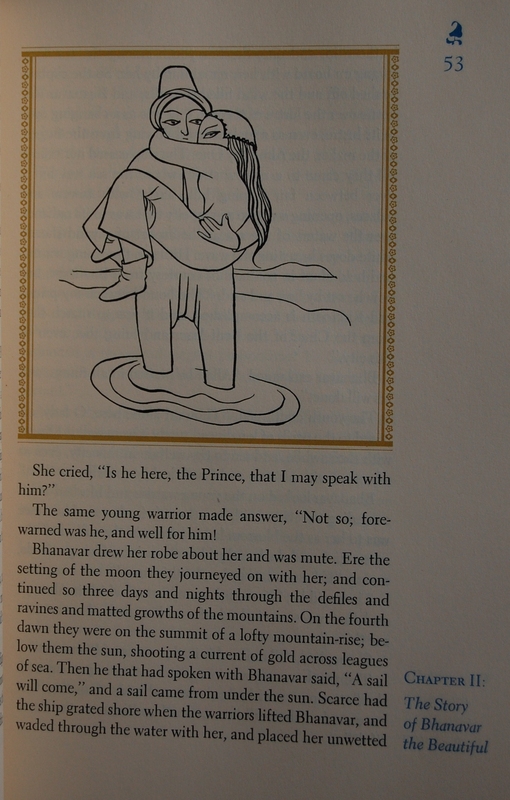 Dwiggins really enjoyed her work, saying “when this book appears, it will establish that gal as a woman who really knows how to make pictures! I can’t remember when I have seen drawings for a book that pleased me so much.” High praise, there, and I think she deserves it. Guilbeau has a nice chat about how she got into art in the Newsletter below – it’s pretty interesting. 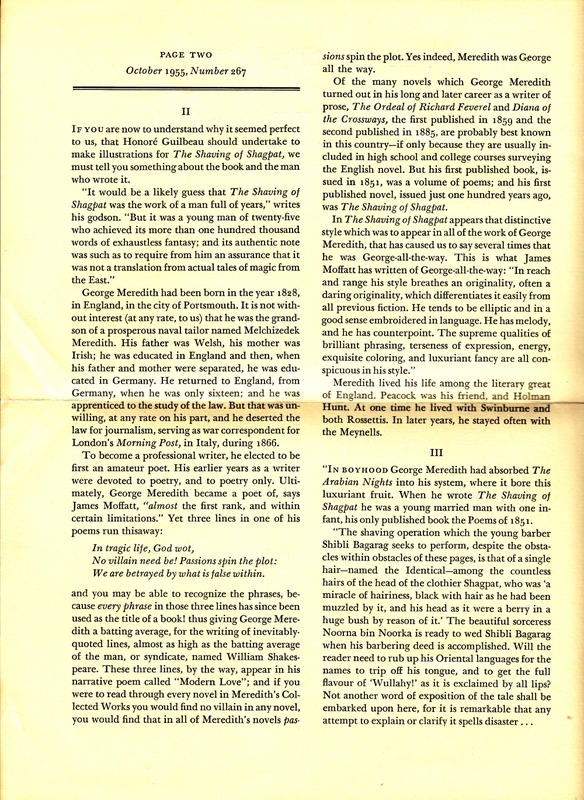 Sir Francis Meredith Meynell, godson to George Meredith and founder of the Nonesuch Press, another mammoth in the collectible book industry, provides a preface to the work. 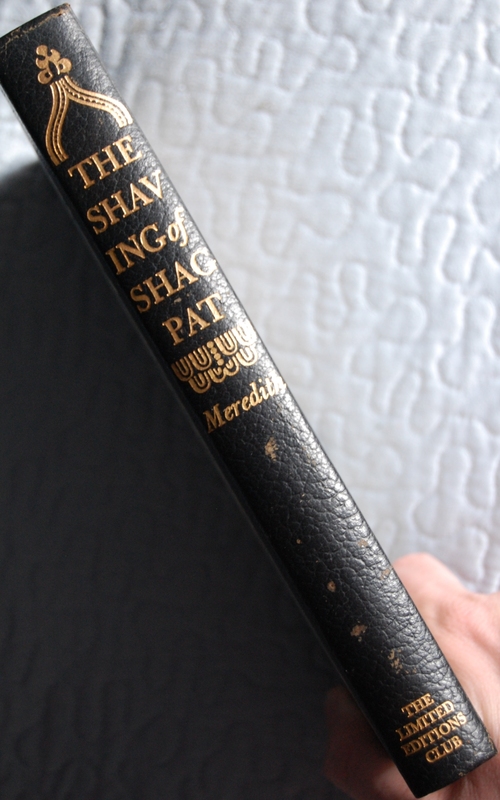 And it’s a rather pretty title page Dwiggins created, isn’t it? The Newsletter calls it “one of the best he has ever drawn”, and I wouldn’t argue. So…why was this book printed, you ask. Well, let me give a brief summary. 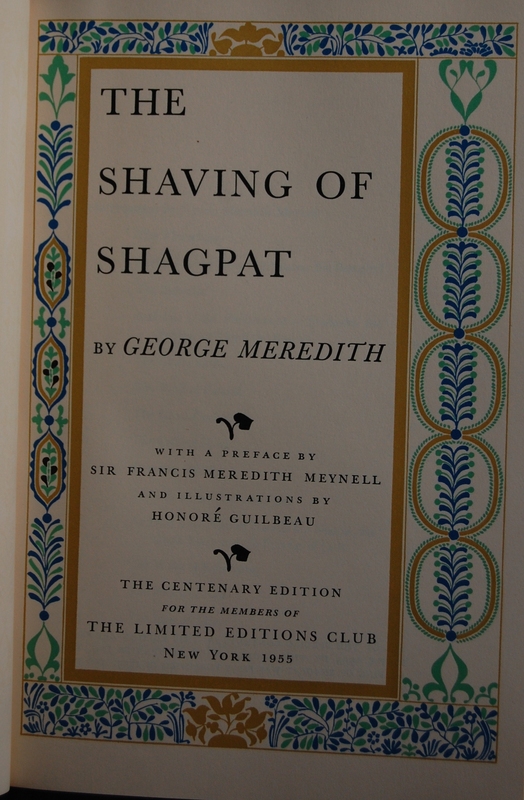 Professor Gilbert Highet, who taught at Columbia University, asked George Macy and the LEC staff if they had ever read Meredith’s Shaving of Shagpat, and why didn’t they produce a lovely volume celebrating it? The reply was, well, no, we hadn’t read it, and thus why we haven’t made a book of it, but the curiosity got the better of them and Macy did read it. He enjoyed it immensely, chuckling all the while. 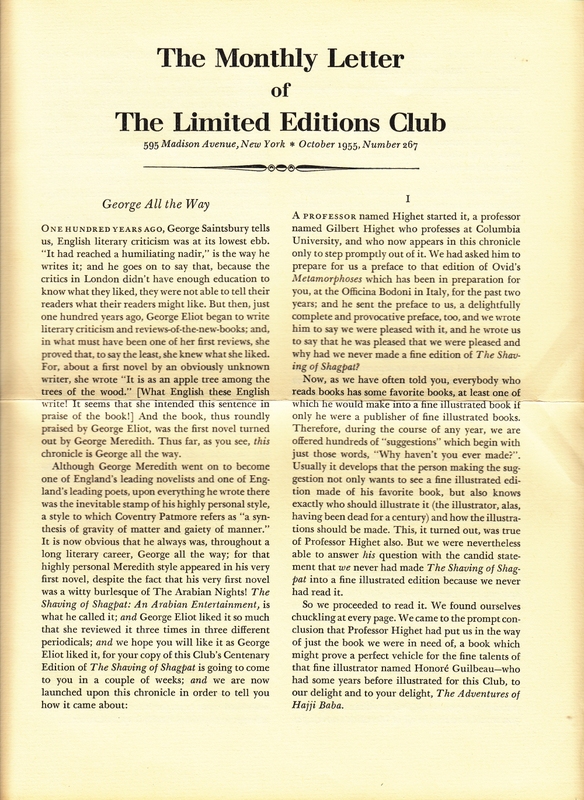 Macy decided that yes, this was indeed a book we needed to print up, and reunited Dwiggins with Guilbeau, asked Meynell to reminiscence about the tale and his godfather, and it was off to the races. 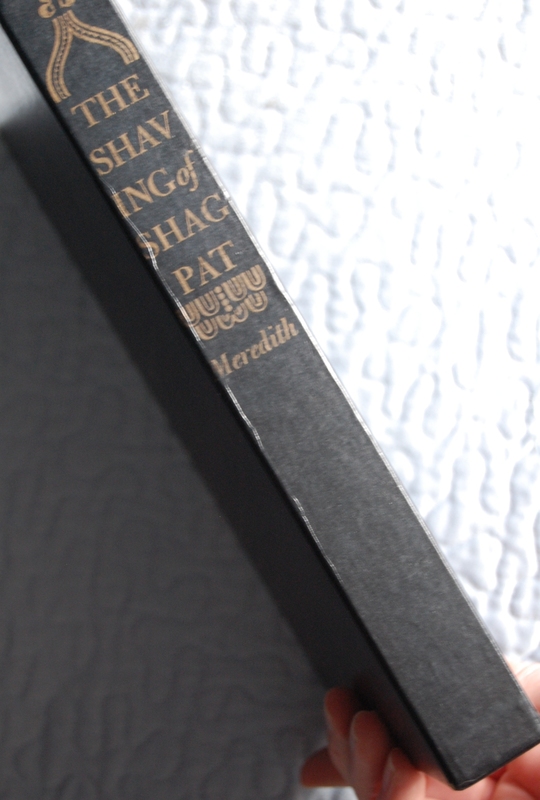 Shagpat so happens to be Meredith’s first published novel, written at the tender age of twenty-five. George Eliot, famous for her novels The Mill on the Floss, Silas Marner and Middlemarch, adored the work so much she reviewed it three different times for three different publications. The Newsletter has a little too much fun with its “George All the Way” retorts, FYI. 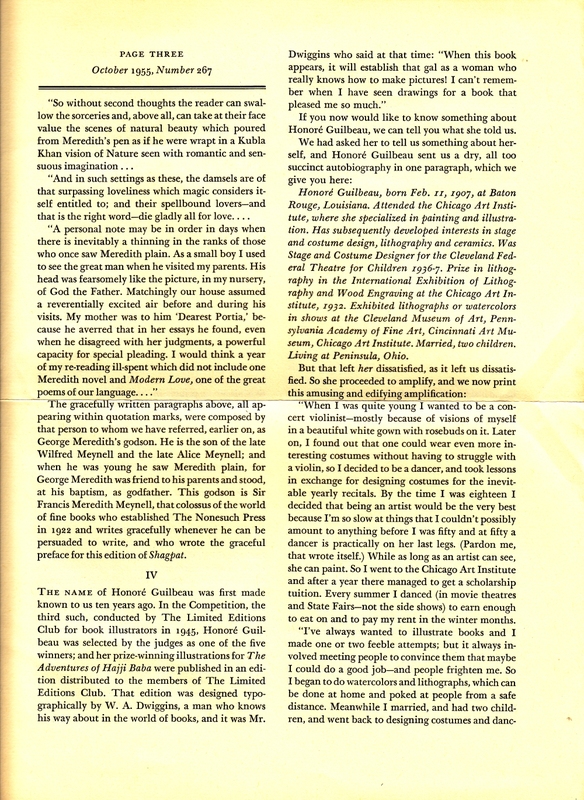 Signature Page – Copy #787, signed by Honore Guilbeau. 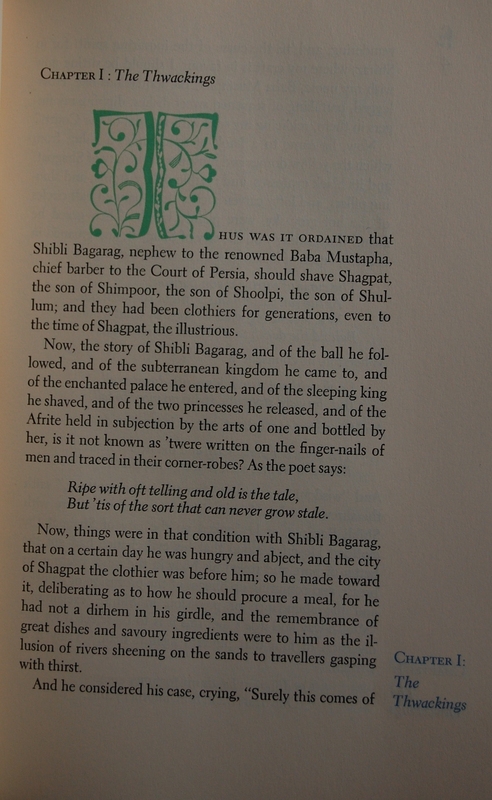 Page 1 – Dwiggins also provided nice initial letters to the beginning of each chapter, which is very nicely done. Page 27 – Now for Guilbeau’s pen-and-brush drawings, which are simple and elegant. They are a beautiful fit for this work set in the Arabian mythos. 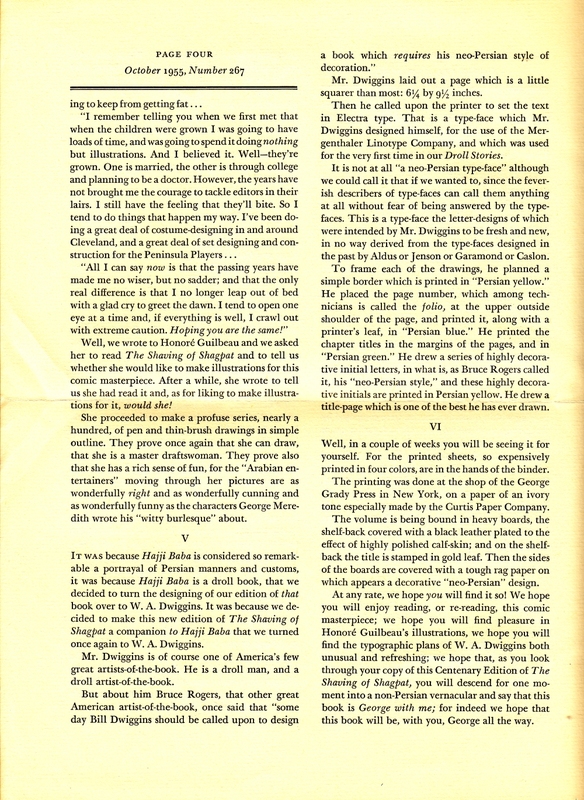 Page 37 – Notice the diversity of color on these pages. Lovely stuff, and had to run through the printer four times to get each color in. 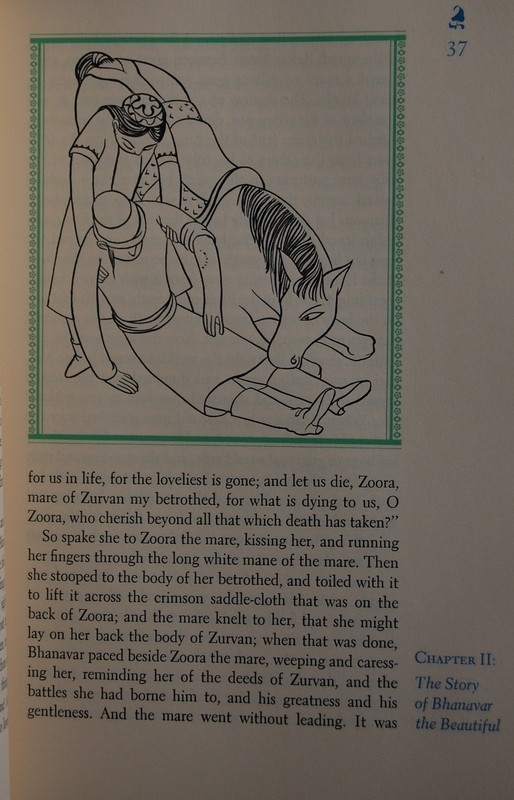 Page 53 – Love the eyes on the woman in this one. Personal Notes – I must admit, this book was an absolute gamble on my part. Having not seen Guilbeau’s artwork before, I wasn’t sure if I would like it or not. I ordered it online through my current bookselling employment for $40 (which I saved about $15 to $20 on due to store credit), and I was very relieved to see it arrive in very good condition and featuring such artistic wonders inside. No complaints. 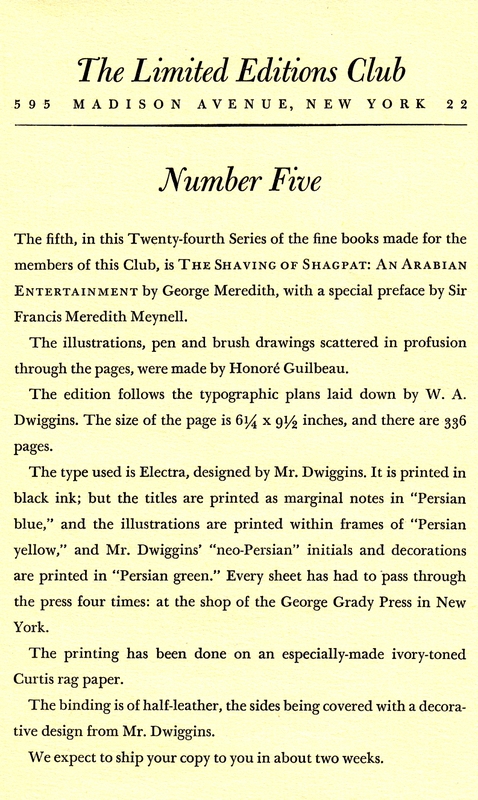 You are currently reading Limited Editions Club: The Shaving of Shagpat by George Meredith (1955) at The George Macy Imagery.